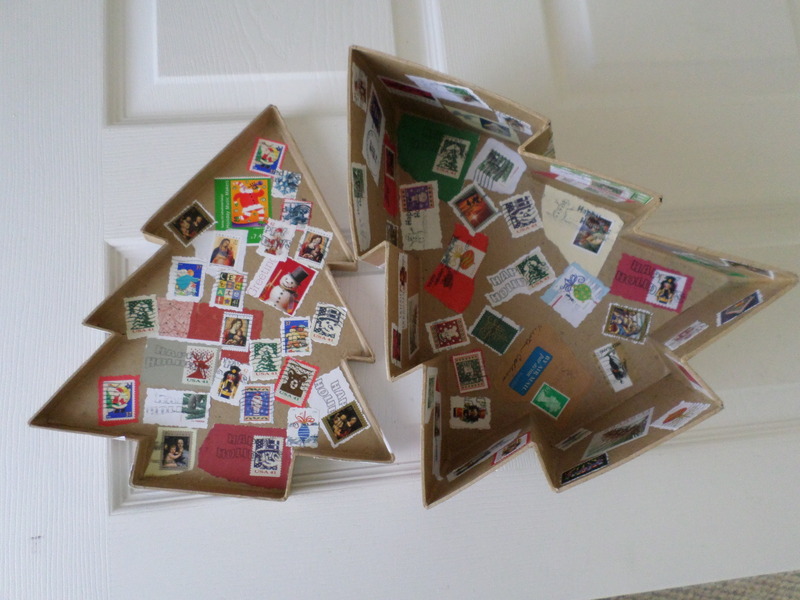 Stamp Box: I started this project in 1995 and have been adding Christmas stamps every year since. 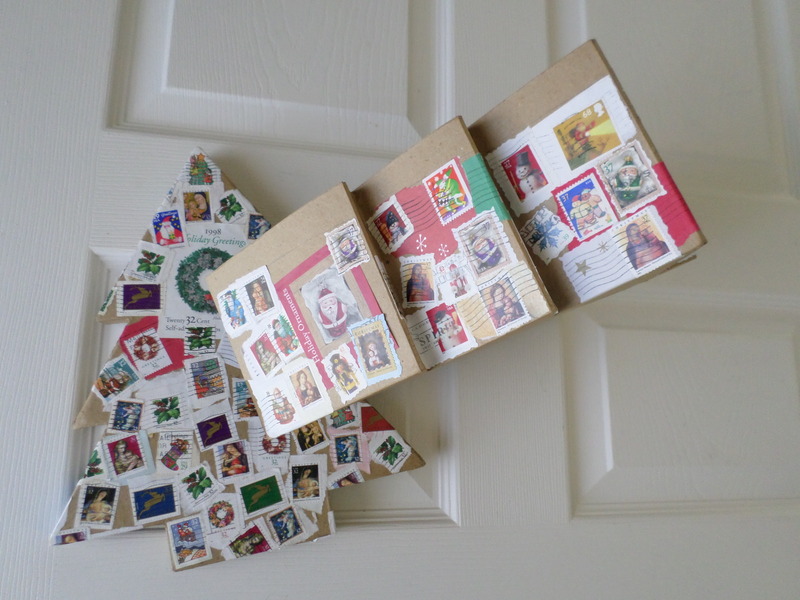 Warning: This project may turn you into a compulsive stamp-saver. 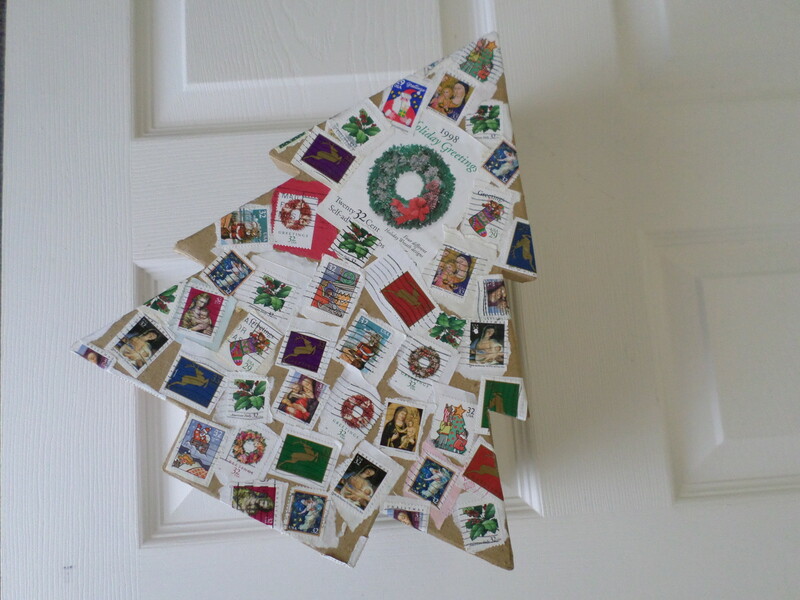 Simply cut or tear the stamps from the envelopes (leave a little envelope if it’s a pretty one) and then glue them on your selected item. When finished, you can apply a few coats of Mod Podge as a sealant. …and then started filling up the insides of the box and the lid. 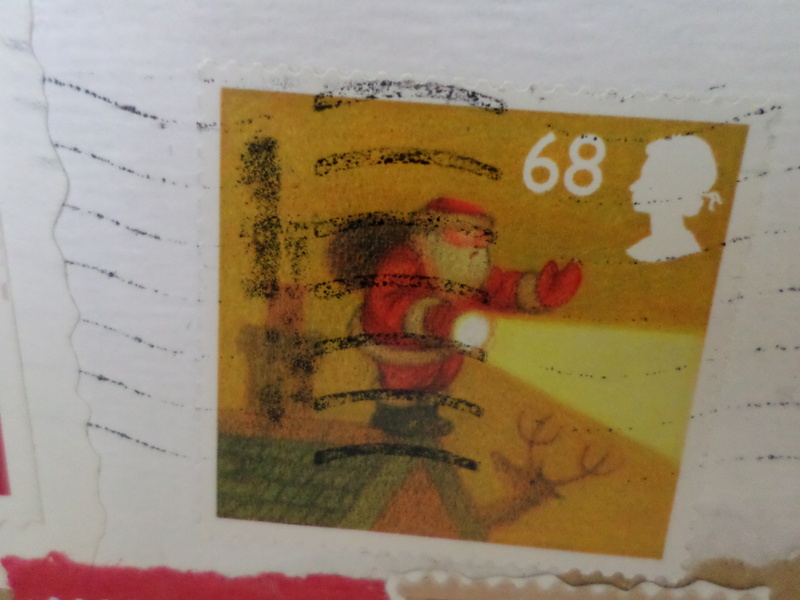 how cool is this Royal Mail stamp? 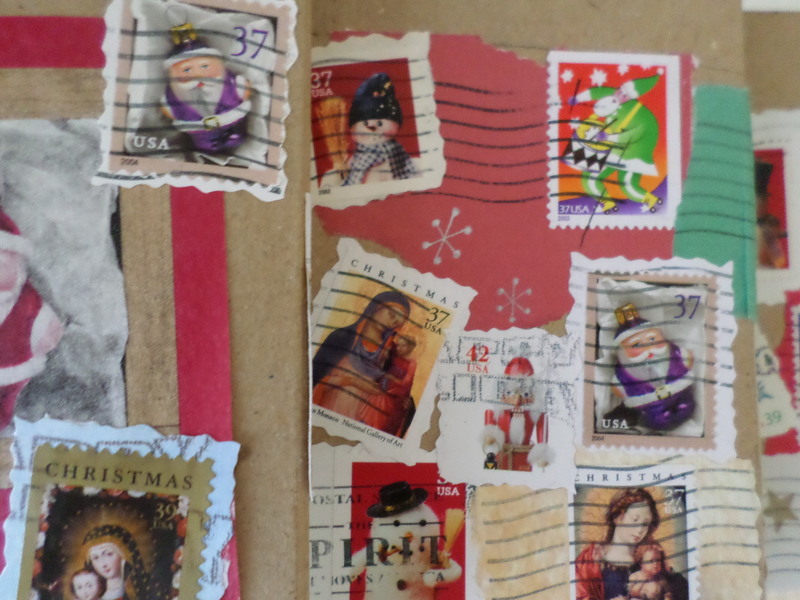 I leave this box open in the foyer at Christmastime and add all the cards that arrive each day. 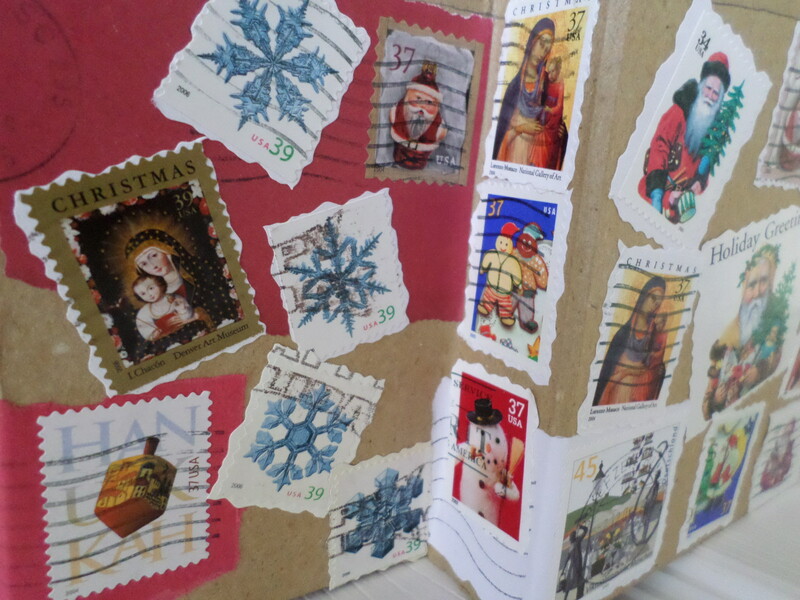 Before I store the holiday decorations I spend an afternoon updating my stamp box. I figure I have one or two more years before this box is full and then I’ll do a wooden bowl or box and maybe even incorporate a few pages from some old hymnals onto the new receptacle. Be sure to send me photos if you do this project!